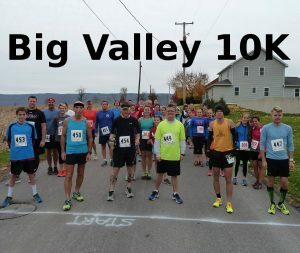 This is a 10 kilometer (6.2 mile) wheel-measured loop course with rolling hills that starts and finishes at Maple Grove Mennonite Church in Belleville, PA. Awards to the top male and female finishers as well as the top three finishers in each age category (no duplications). Race application not available yet!